When you get married, it’s important to get started off on the right foot with your new family, and our cabin rentals near Pigeon Forge TN offer a space large enough to have a nice convenient celebration for a smooth process. A stay at one of our large cabins will not only accomplish this, but with all of our accommodations, everyone will enjoy the occasion — especially with the Smoky Mountains as a background. Our spacious cabins will give you the ability to have your wedding right at the cabin itself. 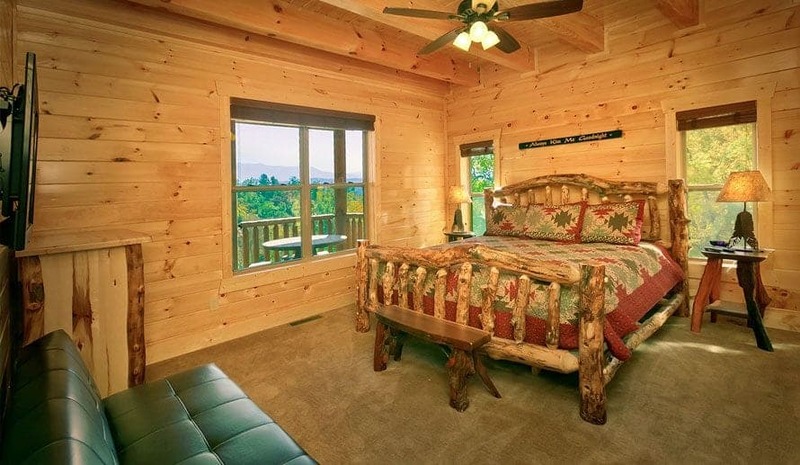 Whether you’re having a small or large wedding, our cabin rentals near Pigeon Forge TN are beautiful enough that you’ll be tempted — and probably convinced — that you’ll want to exchange vows with your loved one at the very place that you’re staying. That’s what makes our cabins so special for many of our guests! If the families decide that they want their own place, it’s also a good idea to invite your wedding party to stay with you on your big day. You’ve decided already that these are the most important people that you want to share with in this moment, so stay with them in one of our cabin rentals near Pigeon Forge TN and have them there to share stories, give guidance, and help you manage the butterflies you might be feeling leading up to the moment. We want to be sure when you’re staying in our large cabin rentals near Pigeon Forge TN that you have as little stress as possible for your wedding. That’s why we also offer two chapels in a beautiful Smoky Mountain setting from which to have your wedding. We also have outdoor pavilions and a rustic barn if you’re looking for a venue other than a traditional chapel setting. Fill out our request form and we’ll quickly answer any questions you have and honor your requests regarding your wedding. When you’re staying with us at Large Cabin Rentals, we want your wedding to be wonderful occasion that will spark memories to last a lifetime! We feel that with our selection of cabins in this location, you won’t have any problems making this an unforgettable moment with the person whom you’ll be sharing all of life’s greatest moments from this day forward. If you’re newly engaged, get those plans started right away by booking one of our cabin rentals near Pigeon Forge TN and saying “I do” in the Smoky Mountains.